This collection reflects a modern take on the traditional. Fine workmanship is evident throughout with its seamlessly crafted L-shaped arms, solid metal turnings, and a satin nickel finish. Cream fabric shades are included. This 6-light chandelier will add style to any home with its modern transitional styling. This stylish new collection has a rich brushed nickel plated finish making it perfect for today's casual lifestyle. The sweeping arcs balance artfully-crafted hammered glass shades giving this chandelier a sense of symmetry and elegance. Brushed Nickel six-light chandelier provides a welcoming silhouette in any home. Unique translucent sheer Mylar shades encompass an inner glass globe. The rich, layering effect creates a dreamy look that is both elegant and modern. Offered as a complete collection, the Invite styling can be carried throughout your home or as a focal style in a special room. 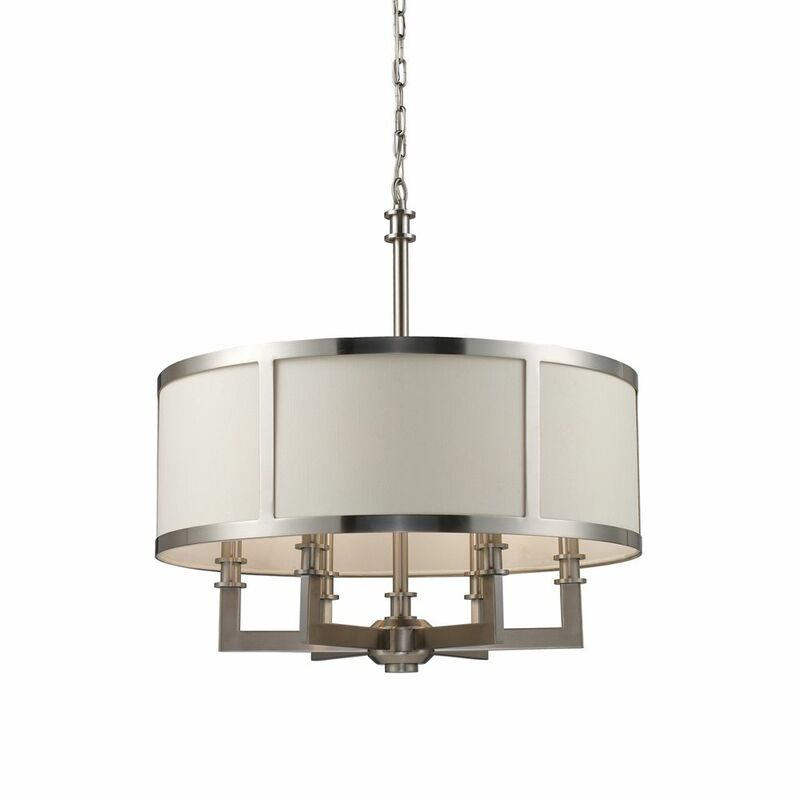 6-Light Ceiling Mount Satin Nickel Chandelier This collection reflects a modern take on the traditional. Fine workmanship is evident throughout with its seamlessly crafted L-shaped arms, solid metal turnings, and a satin nickel finish. Cream fabric shades are included. 6-Light Ceiling Mount Satin Nickel Chandelier is rated 5.0 out of 5 by 1.